The Congressional Hispanic Staff Association (CHSA) is an official, non-partisan, bicameral Congressional Staff Organization, recognized by the Committee on House Administration, whose mission is to recruit, retain, and advance Hispanic staffers in the U.S. Senate and U.S. House of Representatives. 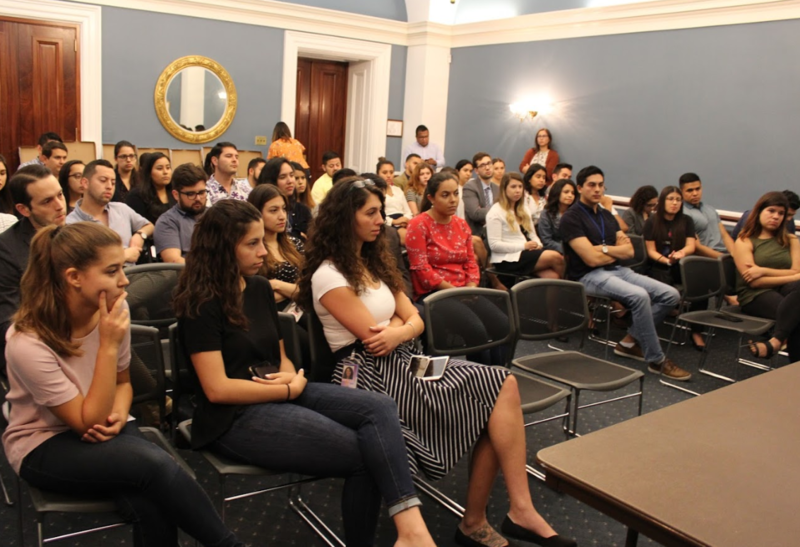 For three decades, CHSA has served as a professional development catalyst, peer support system, and personal enrichment organization for numerous Latino Congressional staffers. Today, CHSA continues to push for more diversity on Capitol Hill. Persons from the community-at-large are encouraged to join the “Friends of CHSA” list. Friends of CHSA are not voting members but this affiliation allows us to keep you informed about upcoming events and opportunities to get involved. The "Friends of CHSA" membership is free and provides a great way for non-Hill staff to remain connected and involved in helping CHSA achieve its mission.